Update 3: CiviliTAYtion will meet on Tuesday nights from 7:00 EST to 9:00 EST starting next week. If you are going to play with us let me know so I can add you to the roster! Update 2: There was a poll mixup and it turns out we will now be meeting on Tuesdays! So sorry to the Sunday folks. I do know a lot of you said you could do either anyway. Update: According to the poll you guys seem to want to have our weekly play sessions on Sundays Tuesdays so we're going to go with that. Now we need to figure out what time works best for the 8 of us who voted for Sundays Tuesdays. Let me know when you are available on Sundays Tuesdays. Remember we are planning on going for at least 2 hours a night so let me know the earliest you can be on by on the latest you can stay online and I'll try to pick a time that works for all of you. But if you can't do Sunday Tuesday, have no fear as we can do another game on a different day once this one is over! It's time to start planning how this will work! Lots of people expressed interest but unfortunately I doubt we will be able to all play at the same time. Here's the basic plan we have so far. 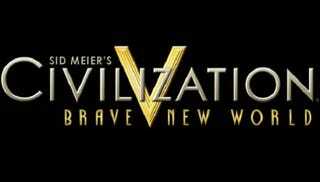 Gods and Kings and Brave New World expansions required. The majority of you guys do have both of these expansions and they really do add a lot of important things to the game. Sorry to those who don't have them but feel free to organize your own games if you like. All other DLCs are optional. So the idea is to figure out a day that we can all play for a few hours on a regular weekly basis. We will go for 2 hours minimum for each day but if everyone can go longer on a given day then we will go until the first person needs to leave. However, if you need to leave before the end of the 2 hours then we will keep going with the AI taking your place for the rest of the time and then we will stop at the end of the 2 hours. Obviously if you can't make it then the AI will have to take your place for the day. So what we need from you guys now is for you to let us know which day works best for you guys and what time of day on that day works best. Hopefully we can find a day/time that can get as many of us as possible to play.